Growing up I hated onions, very passionately. I would refuse to even try a single bite of anything with onions in them. I have scrapped them off pizza, picked them out of chili, and acted like a four year old over onions. Then I found caramelized onions. I found them in my 20’s, but I was leery to eat them still. This is why it’s important to promote fruits and veggies in our our children’s discovery food. I know that my wife looks at me like I’m special every time I discover something about food that she’s know for years. Caramelized onions are like a good steak rub, or pairing wine with your meal. When made correctly, and paired right, it will only enhance the flavors of your dish. I love to put them on top of steak sandwiches, and pan seared steak. What can I say, I was hungry. A few tips that I can give are to cut your onions about ¼ of an inch thick in about 2 inch spears. 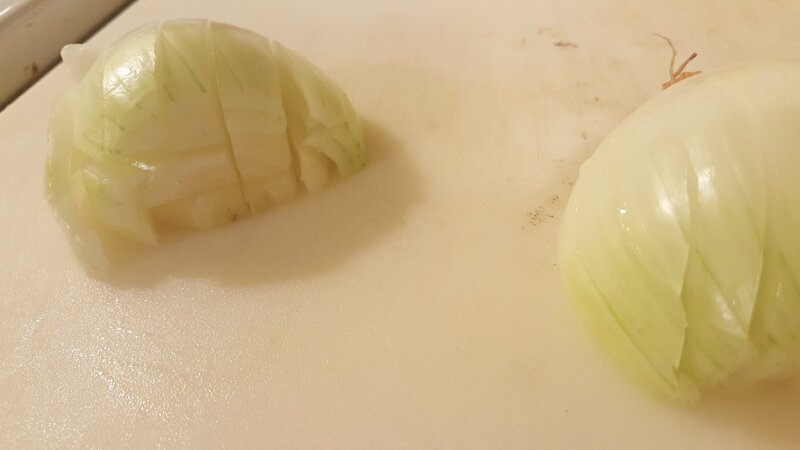 Once onions start turning translucent turn down heat. Stir often to avoid burning. It should take at least 40 minutes to caramelize, so wait it out! These can be made in advance. Start by heating oil and butter in a 10 inch pan. Chop onions in pieces ¼ of a inch thick spears. 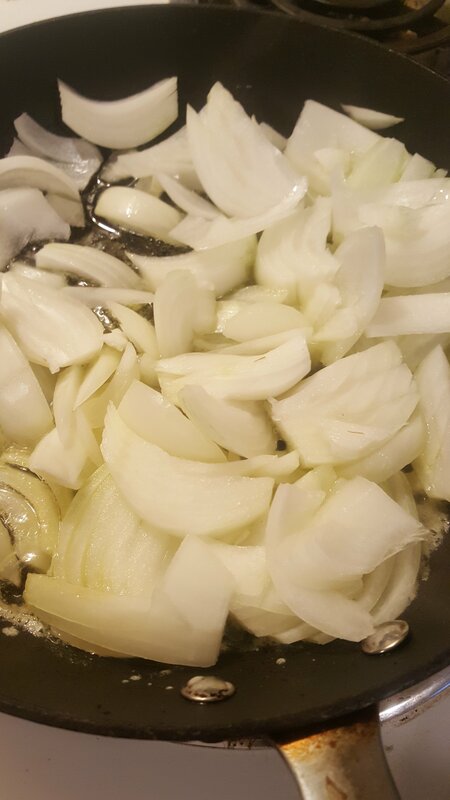 Once onions start softening turn heat down to a low medium and add salt. Stirring them periodically, so the onions don’t burn. 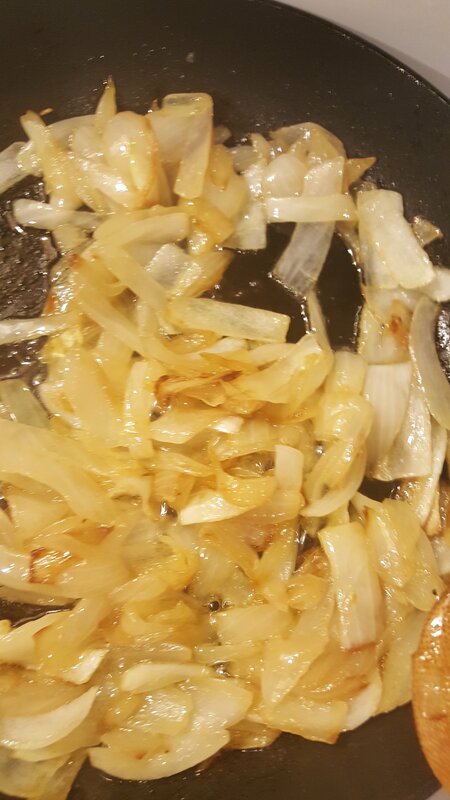 The onion’s will slowly start Browning into a almost a dark caramel color. The low and slow way of doing this is time consuming about 40 minutes, but life changing.